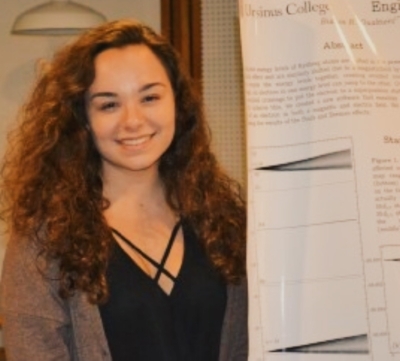 This week's #mathematicalmodel is Bianca (@biancrosaa), an undergraduate studying Physics at Ursinus College. She talks about how her previous struggles with math didn't stop her from pursuing her passion of physics. She is now pursuing a degree and doing in something she loves, and has gained a research position in a physics lab where she uses general algorithms to model the behavior of Rydberg atoms. Her research combines aspects of math, coding, and physics! I always say that it is important to follow your passions, but the driving force in following your passion is your curiosity! Going into college, I thought I wanted to go into biochemistry (I strangely disliked physics and math in high school, mostly because I couldn't grasp the topics). But as cool as biochemistry was, I always found myself looking up physics research papers for fun after learning a little quantum mechanics in my general chemistry class. I didn't have this same of drive for my biochem classes. I had the realization that I needed to change my major to physics because of my overwhelming curiosity for the subject! At the beginning of college, I struggled a lot (and so did my GPA), but since I have changed my major to something that I love, my GPA has been on a great upwards slope! As someone who, from elementary school all throughout high school, struggled greatly with mathematics (I was always behind in my math classes compared to most people in my grade), I never would have thought that I could major in physics and find the beauty in nature that speaks in the language of math and physics. I’ve learned that it is important to remember that change is inevitable and your trajectory doesn't have to be anywhere near perfect (unless you're launching a rocket, L O L). Over this past summer, I had the opportunity to work full-time in a physics research lab at my school in conjunction with another school around the Philly area. Again, never could I have ever envisioned such an opportunity, and I cannot thank my physics professors enough for truly believing in me. I have been continuing this research throughout the school year as well. My job in my research group is to quantum control Rydberg atom states using a genetic algorithm! A genetic algorithm is an algorithm that is based off of Darwin's theory of evolution and can be applied all sorts of fields to understand the behavior of a system over time. A GA can measure fitness, apply mutations, determine elitism and many more aspects in a system. 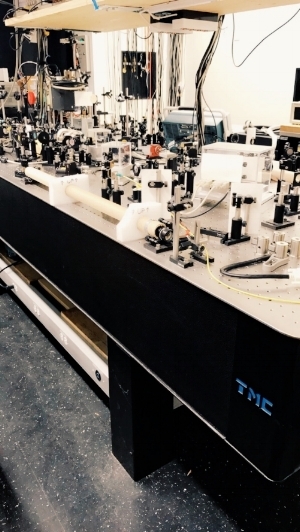 So I do all the coding with the help of my research professor, and our collaborators have an optics table and lasers to perform the actual experiment. Rydberg atoms are known for their very high principle quantum number (n), which means their valance electron (outer most electron) is easily ionized and great for experimental purposes. An external electric field is applied and we get Stark maps showing the Stark effect; splitting of atomic spectral lines as a result of an external electric field. As the electric field propagates, states can mix or look like they're mixing on the Stark map. My main focus this semester was to separate these states so we can look further into their behavior and try to match the simulation Stark map to the experimental stark map produced. We had some luck this semester with our research and got very close to attaining our goal. I am looking forward to more research to better improve our genetic algorithm code and see interesting results by changing and adding different parameters! Another field I've been interested in is nonlinear dynamics, specifically chaos theory and its applications in astrophysics, so I am starting to get myself more familiar with that field and hopefully one day I can start up my own research on this or to join a group doing research in this! Keep your thirst for knowledge quenched and use your knowledge to fuel your adventure to follow your curiosity! 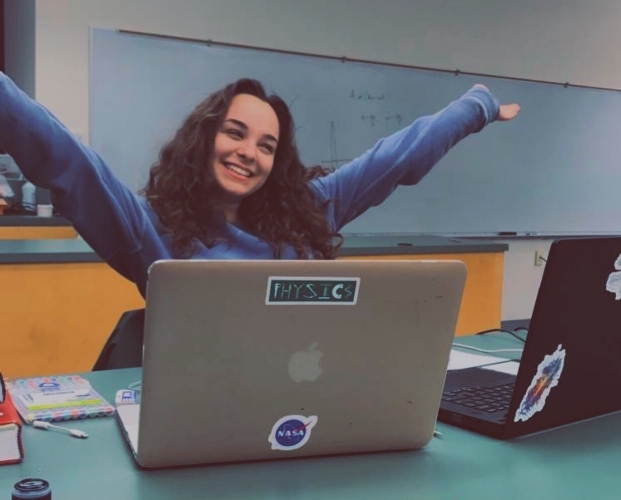 Bianca is currently in her junior year of undergrad, and hopes to attend grad school to get a Ph.D in physics...she is tied between going into quantum mechanics or astrophysics! You can follow her studies and research at her new Instagram account, @coffeeandphysics!